According to the report, the software fix addresses a known issue about the controller miscalculating the available range and charge from the battery. Initially, some suspected that the Leaf's air cooling for its batteries—rather than liquid cooling—was to blame for reduced capacity and higher degradation. The study in March didn't observe the redesigned 2018 Nissan Leaf's battery pack, which was upgraded further to 40 kwh. In 2015, Nissan changed its battery chemistry to a so-called "lizard cell" system that was said to be more resistant to higher temperatures. 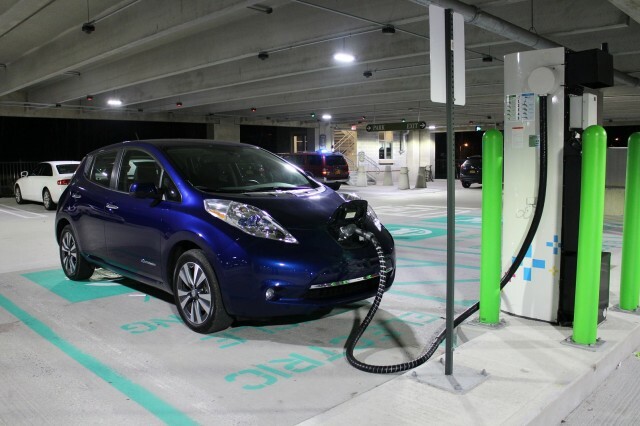 Many Leaf owners had already replaced their 2016 or 2017 batteries with replacement packs, although those systems appeared to have suffered the same issues. Those battery replacements were covered under Nissan's powertrain warranty. This year, Nissan began selling in Japan refurbished battery packs for older Leaf models. The refurbished replacement batteries sell for around $2,800, which is substantially lower than the cost of new replacement batteries. Nissan hasn't yet announced a similar program for Leaf owners in the U.S. who may be looking to trade up from 24-kwh batteries to 30-kwh batteries.